Born 11 December 1843, in Granville, Licking, Ohio. Died 1 January 1929, in Guymon, Texas County, Oklahoma. When Timothy was only 15, he joined the 76th Ohio Infantry Volunteers and served under Captain J. M. Scott and Col. C. R. Woods. He fought at Shiloh and Vicksburg. After the war he was married in Medina County, Ohio. It was said they rode to Maysville in a bobsled to be married by a Methodist circuit riding preacher on Christmas night. Shortly after his marriage, he moved to Hampton, Franklin Co., Iowa. He and Christina lived in Hampton until after the birth of their 13 children, then Timothy took advantage of an offer to Union War Veterans to be given a piece of land to homestead. Sometime shortly before 1900, they moved to Greenfield, Dade County, Missouri and homesteaded a property there. (According to the 1900 census, they were in Sac Twp.) They lived there for the 7 years, then exchanged it for a homestead which someone had failed to prove up in Cimarron County, Oklahoma. They lived on that land in a dugout until 1918, when they bought a house in Guymon, Texas County, Olahoma and moved there. Timothy lived there until the time of his death. He and his wife are buried in the Elmhurst Cemetery in Guymon, Oklahoma.He was buried in: Elmhurst Cemetery, Guymon, Texas County, Oklahoma. MILTON RUSSELL ROSE, b. 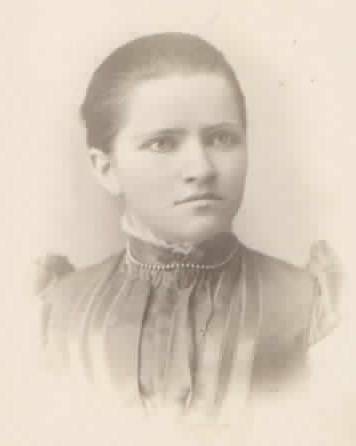 06 Aug 1870, Hampton, Franklin County, Iowa; d. 27 Apr 1954, Guymon, Texas County, Oklahoma; m. JENNIE ALMA PONTOW, Bet. 1900 - 1910, Hampton, Franklin County, Iowa; b. 1877, in Illinois; d. 1959, Guymon, Texas County, Oklahoma. Notes for MILTON RUSSELL ROSE: Milton and Jenny moved to Guymon, Oklahoma from Hampton, Iowa sometime between 1900 and 1907. Tradition is that they were living on a farm with Jenny's parents before Milton's parents arrived in 1907. He and Jennie lived in one of the dugouts on the land they homesteaded in Cimarron County, but, according to census records, they were living in Guymon in 1910, so, apparently, they moved into the dugout after 1910. They moved back to Guymon around 1918. Milton was one of the first family members to own a car, a 1914 Overland Touring Car. I believe the dog enjoyed riding in it more than Jennie did. They adopted a child, named Lewis R. Wayne, but he died at the age of 9 months. The child and Milton and Jennie are buried in the Elmhurst Cemetery in Guymon, Texas County, Oklahoma. HENRY AUGUSTUS ROSE, b. 06 Mar 1873, Hampton, Franklin County, Iowa; d. 04 Jun 1910, Willowbar Twp, Cimmaron County, Oklahoma. MARY CHRISTINA ROSE, b. 26 Jan 1875, Hampton, Franklin County, Iowa; d. 22 Dec 1921, Willowbar Township, Cimarron County, Oklahoma; m. LAWTON PENDEL PALMER, 21 Oct 1912, Texas County, OK; b. 08 Apr 1868, Clayton Co, IA; d. 06 Jun 1943, Clayton, Union, NM. Notes for MARY CHRISTINA ROSE: Mary Christina was given her mother's name as a middle name, but she never did like her first name, Mary. Therefore as soon as she was old enough, she insisted on being Mae,or May, not sure which, until many people believed that was her name. She felt that because the mother of Jesus was named Mary that no one else should have that name. She was the oldest daughter in the family. When the family moved to homestead in Cimarron County in 1907, several of the girls stayed in Guymon, Texas County, Oklahoma and worked, as the dugout was too small for 10 girls, most of them adults. She was in Guymon in the 1910 census, listed as a "servent", apparently working as a cook in a local hotel. However, she homesteaded a piece of property near the Rose homestead, and there is where she met and married Lawton Palmer, who owned half of a homestead, 80 acres, north of her land. They farmed some and ran a little general store for several years. After Mae died in childbirth, Lawton stayed a short time on the farm with his son, then moved, first to Keyes, then to New Mexico. His two daughters were raised by two of Mae's younger sisters. Mae was buried in the Willowbar cemetery near Keyes, Oklahoma, along with her child, who only lived a few days. They were buried in the same plot. Later Lawton was buried beside her. Mae's daughter, Justine, remembers that her mother wrote poetry, and at one time her poems were kept by Aunt Freda, to be given to the girls. But no one knows where they are now. Both her daughters inherited this abilty, as Justine wrote poetry and was an artist, and Christina wrote poetry. She was buried in: Willowbar Cemetery, Keyes, Cimarron County, Oklahoma The cause of her death was complications of childbirth. Notes for LAWTON PENDEL PALMER: We wonder if Pendel was his mother's maiden name. 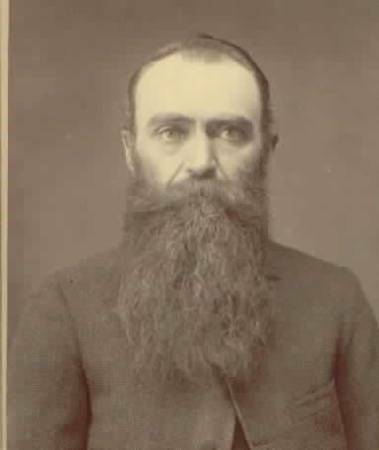 Lawton remained in Cimarron county with his son for several years after the death of his wife. Later, after his son's marriage, he moved to Clayton, New Mexico. It is believed that he remarried, When he died, his son had him buried beside Mae, in the Willowbar cemetery. The gravestone incorrectly lists his date of death as 1923 instead of 1943. It also does not mention the child buried with them. ARTHUR THEODORE ROSE, b. 06 Jul 1877, Hampton, Franklin, IA; d. 22 Oct 1961, Elkhart, Morton, KS; m. MARY AGNES HARPER, 24 Feb 1904, Greenfield, Dade, Missiouri; b. 02 Feb 1885, LeRoy, Faribault, MN; d. 29 Apr 1953, Guymon, Texas, Olahoma. CHARLOTTE DELLE ROSE, b. 21 Aug 1879, Hampton, Franklin, IA; d. 05 Dec 1975, Missoula, Montana; m. HERBURT HULL HUGHES, 03 Jun 1917; b. 22 Oct, Aurora, NE; d. May 1950, Missoula, Montana. Notes for CHARLOTTE DELLE ROSE: Charlotte was 15 when her family moved from Iowa to Missouri. She decided to stay in Iowa and work. She worked for a while then attended Oberlin College in Oberlin, Ohio, where she got a teaching certificate. At that time she moved to Southeastern Colorado, where she taught in and around the Walsenburg area for almost 20 years. When she was 39, she and Herbert were married. After their marriage, they moved to Missoula, Montana, where Herbert worked in radio electronics. They never had children of their own, but they adopted Justine, the daughter of Charlotte's sister Mae, who died in childbirth when Justine was 2 1/2. FREDA JOYCE ROSE, b. 21 May 1881, Hampton, Franklin, IA; d. 27 May 1950, Guymon, Texas County, Oklahoma. CARRIE EMALINE ROSE, b. 08 Feb 1883, Hampton, Franklin, IA; d. 15 May 1978, Guymon, Texas, OK; m. DEWITT PROSSER BISSELL, Guymon, Texas County, Oklahoma. Notes for CARRIE EMALINE ROSE: When the family moved to Cimarron County, Carrie lived in Guymon with her sisters and worked rather than live on the farm. In the 1910 census she was listed as caretaker to an invalid lady whose husband worked for the railroad, and was living there with her sister, Freda. When the lady died, Carrie married her husband. D.P. (Dewitt Prosser) was older than Carrie but they were very happy during their years together. After his death, Carrie lived alone for many years, then spent several years living with Maurice and Viola Rose, the son of her brother Arthur. Her last few months of life she spent in a nursing home in Guymon. She is buried with her husband and his first wife in the Elmhurst Cemetery in Guymon. Carrie is remembered as a very kind, loving lady who, since she had no grandchildren of her own, had several "adopted" children and grandchildren, including Christine Palmer, Martha Moore, and, later, Kenneth and Marilyn Rose. She had a lot of exciting wonders around her house that tempted children. For Marilyn, it was the beautiful glass vases and her exotic stone earrings and necklaces. For Kenneth it was the old car, which she hardly ever drove and it was like new 30 years later when it was sold to a LUCKY teenager in Guymon. BERTHA WINNIFRED ROSE, b. 13 Sep 1886, Hampton, Franklin, IA; d. 07 Nov 1978, Greenfield, Dade, MO; m. SAMUEL C. JOHNSON, 23 Jan 1908, Greenfield, Dade, MO; b. 01 Jul 1884, Greenfield, Dade, MO. PHILENA ALCIE ROSE, b. 13 Apr 1888, Hampton, Franklin, Iowa; d. 21 Nov 1969, Golden City, Barton, MO; m. JOHN HARVEY DUNCAN, 23 Jan 1909, Greenfield, Dade, MO; b. 18 Feb 1887, Seybert, Dade County, Missouri. Notes for JOHN HARVEY DUNCAN: John and Lena were married in Dade County, however, they lived for several years in Boone County, Arkansas, where they were found in the 1920 census. By 1930, they were in Center Township, Dade County, Missouri. Apparently they moved to Boone Co. in about 1912 and returned between 1920 and 1926. CELMA GAIL ROSE, b. 21 Apr 1890, Hampton, Franklin County, Iowa; d. 07 Apr 1971, Guymon, Texas, OK; m. CHARLES ROBERTUS MOORE, 29 Dec 1912, Guymon, Texas, OK; b. 03 Apr 1886, Riverland, Clay, TX. GLADYS ANNA ROSE, b. 05 Nov 1891, Hampton, Franklin County, Iowa; d. 12 Jan 1968, Guymon, Texas County, Oklahoma; m. JEROME FAIN, 19 Jun 1910, Hidalgo Twp, Cimarron, OK; b. 24 Jun 1883, Lead HIll, AK; d. May 1973, Liberal, Seward, KS. Notes for GLADYS ANNA ROSE: In the 1910 census, Gladys was the only child living at home with her parents, except for Gussie. It appears that she was married that year, only a few days after the death of Gussie. She and her husband were farmers near Guymon, Oklahoma, until after the death of Gladys. Notes for JEROME FAIN: Jerome was a teacher in Willowbar Twp. in 1910, probably at the Berg School, which is where he met and married Gladys. They farmed in Texas county until the death of Gladys, then Jerome moved to Liberal, Kansas, where he lived with his daughter until the time of his death. FLORENCE ROSE, b. 28 Dec 1894, Hampton, Franklin, IA; d. 31 Jan 1895, Hampton, Franklin, IA.